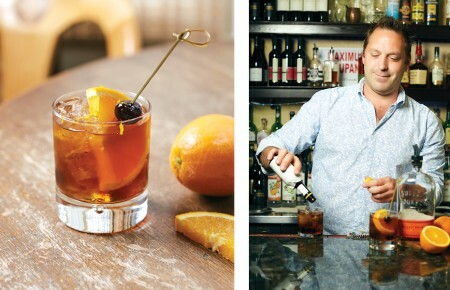 For chef Ivan Orkin, memories of growing up in Oyster Bay Cove are filled with hours at the library, trips to Planting Fields Arboretum and Jones Beach. Going into the food industry was never a dream until the age of 15 when he began working at Tsubo, a now closed Japanese restaurant in Syosset. He soon became obsessed with Japan, and after graduating from the University of Colorado Boulder moved there to become immersed in the culture. 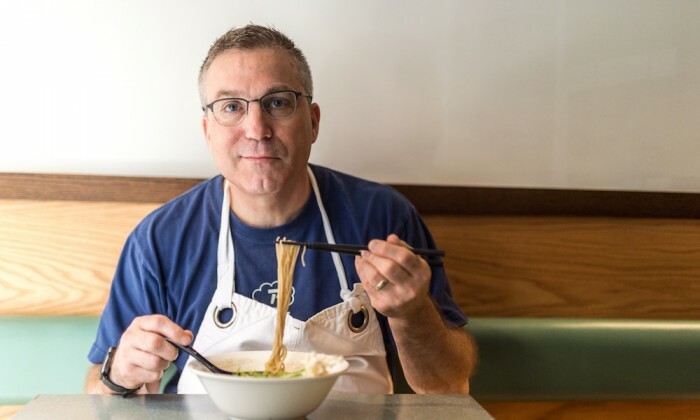 Orkin, who was also featured on season 3 of Netflix’s Chef’s Table, is now regarded as the master of ramen conquering the craft of this cuisine in both Japan and New York City. 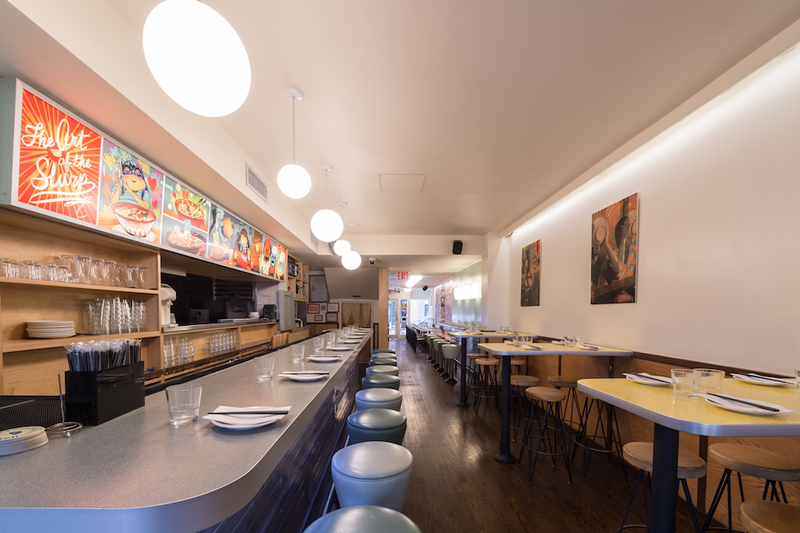 I caught up with Orkin at his East Village restaurant Ivan Ramen (opened in 2007) to find out more about his journey. When did you first fall in love with ramen? That was a total accident…I had moved to Japan after college, but not to learn about making ramen. I had majored in Japanese language, culture and literature and thought I should go live in the country I just spent four years learning about. I taught English there and had the opportunity to practice my Japanese. Soon ramen came on my radar. Three years later, you had a stint back in the U.S. But then in 2003 you went back to Japan and opened a ramen shop there. What was that like? It was sort of an anthropological study. I really wanted to do it in such a way that it wasn’t some American tourist version, but an authentic, respected shop. I only spoke Japanese with the customers, so it was a real challenge. Plus, there was really no way to learn how to make ramen; I was just making it up in my kitchen. I also really wanted to make a bright, clean and fun ramen shop, because back then, most shops were dingy, dirty and not that accessible. Mainly, I had to convince Japanese people that my ramen was good enough for them to come and eat. Was it there that you developed your signature rye noodles? Yes, I was making my own noodles from scratch and experimented with different flavors. Ultimately, I found that rye would be an aromatic and delicious ingredient for my noodles. Would you say you were the first to use roasted tomatoes in your ramen to add umami to your dishes? Yes, now all the ramen shops are adding it to their ramen. Back then it came from the fact that I had to sort of think to myself, “How could I get this explosive flavor people crave?” I came up with this idea and it got a lot of press. But back when I did it, it was considered a weird thing to add. Now you have two locations in NYC. 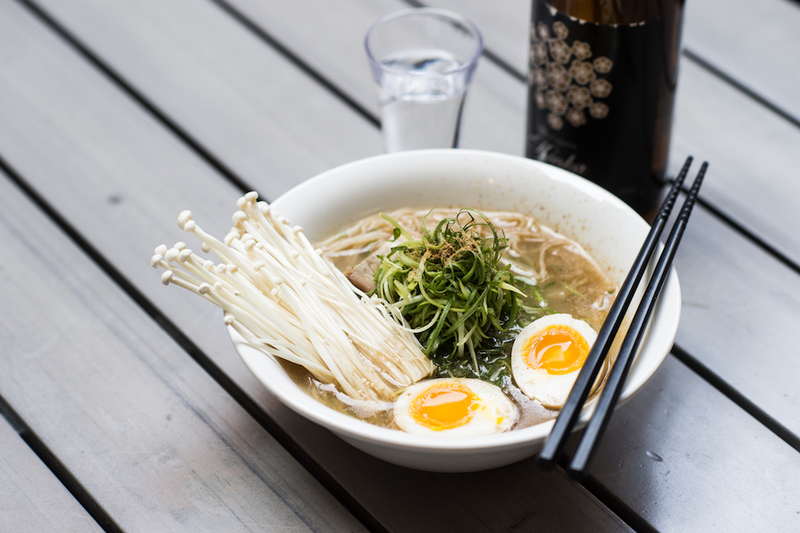 How would you describe the experience of dining at Ivan Ramen in the East Village? The vibe is “diner.” I see ramen shops to be similar to pizzerias and burger shops where food is available all day and it’s unfussy and incredibly satisfying. While everyone that worked with me on this project were “fine dining people,” we really tried to bring a strong hospitality component to it. And the Slurp Shop in the Gotham West Market (opened in 2013)? If you want to have a bowl and run, it’s a great option. It’s a giant food hall and is a really fun place to stop in and have a bite before going to the theater. Which item on the menu do you recommend for ramen newbies? We have our two main ramen bowls–the Shio and Shoyu–which were ramen that I created in Japan and are close to what I served there. We also have a vegetarian ramen that is out of sight. And we have a lot of fun appetizers to try like the Tofu Coney Island, which is a take on the flavors of a Coney Islander [hot dog]. What pairs well with ramen? We do work with a lot of small breweries all over the country and have a lot of hard to get beers. We also have a really interesting sake takeover going on right now where we have sake made by an American who’s been living in Japan for 30 years. Any other new projects or endeavors we should look out for? I’m currently writing a book about Japanese cooking as seen through the eyes of an American living in Japan who has had a 30 plus-year relationship with the country. A lot of the recipes come from the fact that I am the resident cook at home with my family. I spend any extra time I have with my family and I love to cook for them. The result was that the recipes you’ll find in the book are classic home-style recipes. Many are inspired by what goes on at Ivan Ramen too, and interspersed among them are anecdotes about living in Japan. You can expect to find it in stores probably in early 2019. Are you thinking of opening new locations? I’m working on having a standalone Slurp Shop in addition to our location at the Gotham West Market…we’re looking for locations now! Speaking of the Slurp Shop, our current location is fairly close to Penn Station for those traveling from Long Island. I also opened a real NY Italian pizzeria [this year] in the same complex called Corner Slice where we have locally-milled organic flour and we make our own sausage and cheese. It’s really spectacular pizza. 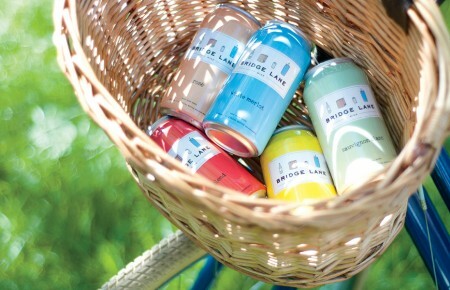 It has nothing to do with Japan, but it is about a love affair with NY.